As we're approaching Christmas, it's perhaps a good time to offer a... retro review. There are dozens of normal primes out there (if you're on a budget, you might wanna take a look at this), and this little fella has been around for decades. It's pretty cheap, too, especially if you find an original, non-ai'd version. Let's take a look at it. + matchless built quality, it will survive a thorough beating. + smooth focusing, with infinity stop. - wide-open it suffers from significant coma. Wide-open it's also very good - at least in regular scenes. If you own a film camera such as the FM, this is a great match (especially if you're on a budget). As a portrait lens, it can offer some really dreamy results. Use it wide-open and be amazed! There are several issues you need to be aware of regarding this lens. Optically, the only downside is the pronounced coma flare wide-open. In regular use you won't notice it, and in portraits you will actually like it. But in low-light photography or astrophotography (in other words: when you have plenty of light spots in the frame) it is visible. 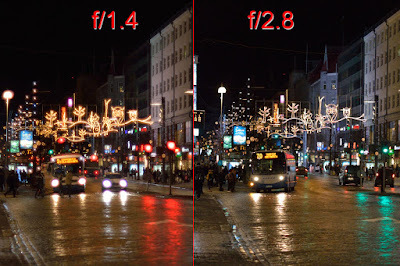 Then again, newer "ordinary" f/1.4 lenses aren't much better either - you'll need to spend some serious $$$ and get a Noct-Nikkor if you need good coma control wide-open. The other issues have to do with scope and ergonomics. 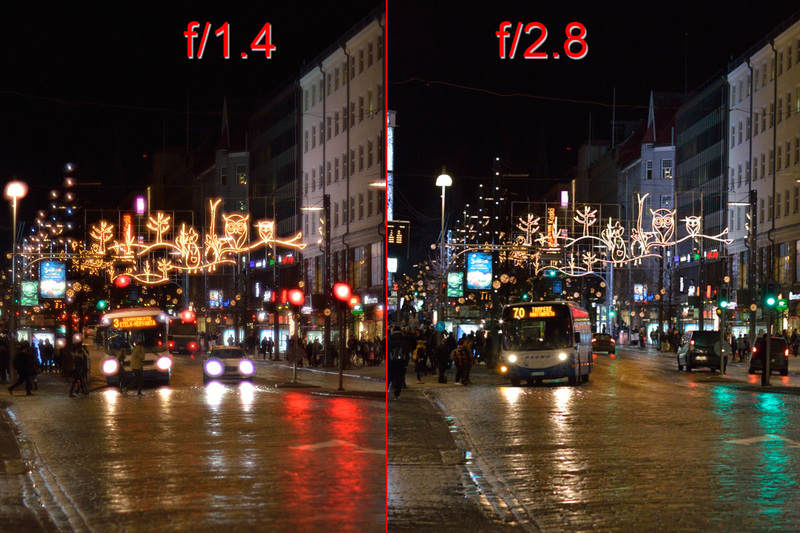 Non-Ai'd versions cannot safely mount but on entry-level Nikons, where you kinda lose metering. I say kinda, because you can use live view to meter. Simply go to M mode (the only mode you can use non-chipped lenses with entry level cameras), judge/pick the exposure, and go to live view. If it's too dark/bright, either change exposure of change ISO. Bottom line, however, and as I mentioned in my review of the AIS version, although f/1.4 is awesome and this lens is optically brilliant, most people will probably be better served by modern versions. Yeah, they're plastic, yeah, they're perhaps not necessarily any better, but autofocus and metering are two important advantages, at least for some kinds of shots.